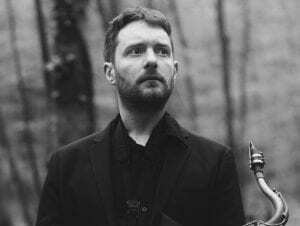 One of Europe’s finest Saxophonists and most eclectic musicians, Vincent Thekal is the leader of several different bands and is currently playing regularly in his native Belgium and across the continent. Vincent’s current musical exploits include the “Vincent Thekal Trio” who released their first album at the end of 2014 on the Ragtime Production label, “PSP” offering an innovative mix of electronic and acoustic music and the “Monk’s Music Quartet” which is dedicated to performing the repertoire of the great musical genius. In addition Vincent has played with Bob Mover, Jerome Sabbagh, Emil Spanyi, Dr. Pallemaerts, Bo Van Der Werf, Fabian Fiorini and Jean Louis Rassinfosse. He has appeared in numerous jazz festivals throughout Europe, including Jazz in Vienna, Nancy Jazz Pulsations, Millau in Jazz, Dinant Jazz Night, Brussels Jazz Marathon, Blues’n’jazz Rally, and Jazz im Brunnenhof. He has played in just about all the top concert halls and clubs in Europe including: Sounds Jazz Club, Jazz Station, Music Village (Brussels, Belgium), Arsenal (Metz, France), Les Disquaires (Paris, France), Le Chameleon, ( Paris, France), Jazz Keller (Trier, Germany), Neumünster Abbey (Luxembourg City, Lux), El Lokal (Zürich, Switzerland) and Point Dance Theater (Rennens, Switzerland).